For the second time since the two businesses were merged, Leyland’s Donald Stokes took the momentous decision to press ahead with a fundamentally flawed product. And while it may not have been the fledgling British Leyland Motor Corporation’s maiden launch, (that would be the Austin 3-Litre), it was the corporation’s first significant volume car introduction and a desperately important one for the future prosperity of the business. Amongst the many ironies of the Maxi story is that one of its few real and lasting successes was how it underlined the manner in which BMC had so decisively lost the run of itself during the 1960s. A car created to fill a gap in the market (that of the ‘Farina-bodied A60) left vacant by the failure of another BMC model to meet its market parameters (the 1800-Series), ADO 14’s conception proved a masterclass of corporate failure. Compounding this was the decision to design and build an entirely new series of engines for the car, which entailed a £40 million investment. This engine family (the unloved and underutilised E-Series), like the Maxi itself, was not strictly required and was (again like the Maxi) ill-conceived at a point where market parameters were fundamentally shifting. Furthermore, (and once more, like Maxi itself), BMC could have achieved as much with intelligent use of existing hardware. 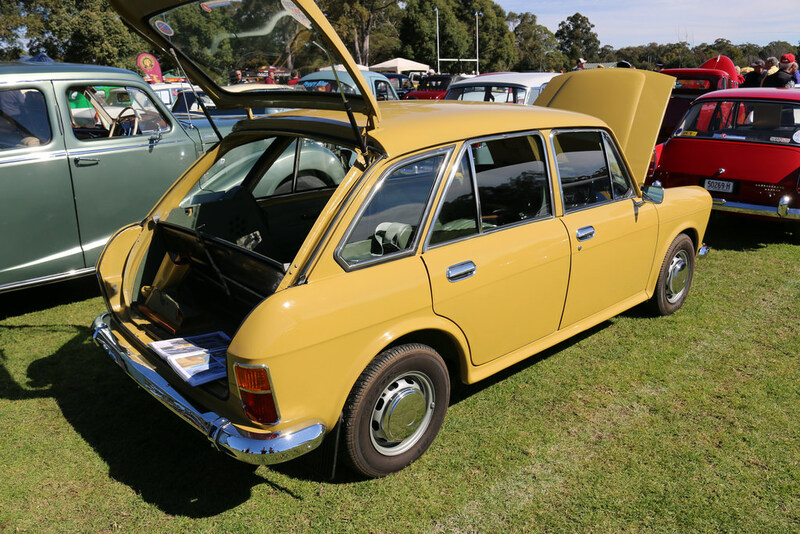 The same year as that of ADO14’s introduction, the carmaker’s Australian arm launched the Nomad, a five-door hatchback variant of the popular 1100/1300 series, utilising the Maxi’s new-generation E-Series 1500cc power unit. A smaller car overall, but the real-world differences would not have amounted to much in market terms and certainly, while no ravishing beauty, it was no worse and with a little more work could have made for a more expedient and considerably cheaper stopgap until something better realised was made ready. The Maxi was originally conceived to be a Cortina-rival, BMC having been spooked by the commercial success of Dagenham’s mid-liner. However, shortly into ADO14’s development, BMC’s Chief Executive, George Harriman decided the new model would not be targeted at the Cortina after all, essentially negating the entire rationale for the programme. For the CEO of such a sprawling car manufacturer, Harriman saw fit to involve himself in areas where he really had no business. Having signed off on a massively expensive and unnecessary engine programme, in addition to the all-new Maxi bodyshell, he decreed that in order to save tooling costs, the door pressings be carried over from the 1800 saloon, which not only enforced an unnecessarily long wheelbase, but also fatally hobbled the design team. Not that they had much hope anyway against the Spartan dictates of BMC’s Technical Director, who was gripped by a horror of ‘styling’. This showed in ADO14’s shape which was subjected to several increasingly desperate attempts at revision prior to its introduction. This involved not only the internal styling teams, but Sergio Pininfarina and allegedly, even Jaguar’s Sir William Lyons is said to have taken a hand. But with tooling committed, little of significance could be altered and the resultant design, while a noticeable improvement upon the ‘hen coop’ it originally resembled, remained a most unprepossessing motor car. Style sells and in its absence, the Maxi’s prospects were doubtful at best. But while the car’s protracted gestation ought to have ensured a fully-proven product, this was not so. Most egregious was its poorly-designed gear linkage which made engagement a matter of feverish guesswork on the part of the driver. In addition, the noisy and rough sounding 1.5 litre E-Series engine was deemed woefully underpowered. The following year the Maxi was essentially relaunched with an improved rod-operated gear linkage and a larger capacity 1750cc engine. Changes to the cabin improved its ambience to some extent as well, but following this, meaningful development essentially ceased. Projected to gain over 5% of the UK car market, it achieved only 1.4% in the year of its launch. Following its 1970 relaunch, sales rebounded slightly with the Maxi developing a modest but robust following throughout the 1970s amongst the UK press and more practical-minded motorists. Regarded as one of the more durable of BL’s mainstream models, 486,273 Maxis were built at Cowley up to the model’s demise in 1981, to make way for the LM10 Maestro – a car which perhaps contained more Maxi DNA than was either expedient or desirable. Largely through accident rather than clear-headed vision, BMC stumbled across the design template for the modern family car. During the mid-1960s, only Renault’s 16 came close to offering anything similar, despite being a slightly larger, and certainly in perception terms, more upmarket, better realised product. Having done so, British Leyland, instead of taking what was clearly a promising (if flawed) template and developing it, chose to sideline it entirely, creating new models which respectively sat below and above it, neither of which hit the market sweet spot and damningly, lacked the hatchback format which would become a requirement. The Maxi illustrates how poor management can initiate a climate of denial, which quickly becomes contagious. It beggars belief that George Harriman and his management team appeared to be satisfied, allegedly as far back as 1964 that ADO14 was acceptable for the intended market, ploughing ahead even as the business case for the programme came undone before their eyes. Four years later, Donald Stokes and his board did an equally good job of convincing themselves that the programme was on track and that the product stood a good chance of success despite obvious flaws. It would be overstating matters to suggest that the Maxi alone crippled the BLMC business, but the huge investment the programme incurred coupled with the failure to meet expectations in what would become the heart of the market hobbled it more than perhaps was realised. 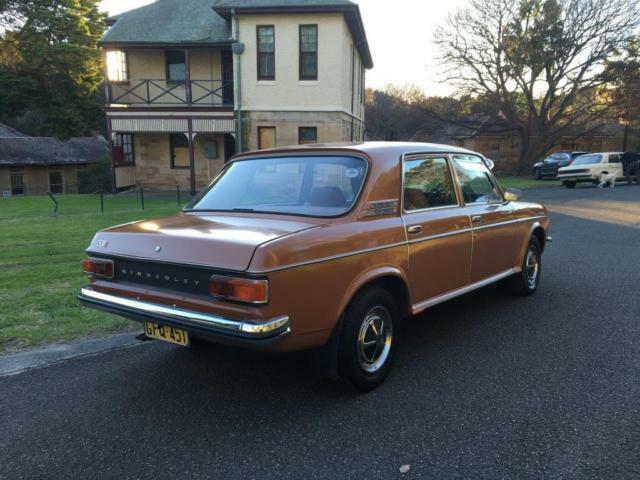 The Maxi represented a salutary lesson in product planning – one BL repeatedly failed to grasp, with reactive products such as Allegro, 18/22/Princess and to some extent, SD1 – only this time, the mistakes were home-baked. A highly significant car then, all the more so for how it crystallised an systemically flawed process of product creation. It embodied not only a damning failure of management, and an indictment of BMC’s product planning function, but also a lasting monument to Sir Alec Issigonis’ intransigence and creative dogmatism. It’s somewhat appropriate therefore that it is also the car which precipitated his downfall. Orthodoxy damns the Maxi in broad-brush terms. And viewed as such, a good many of the slings and arrows stick. Embodying in automotive terms much of what was dreary and downtrodden about Britain in the 1970s, the Maxi’s homespun appearance belied an essentially intelligent concept whose time had not yet come. But failure was baked into the Austin Maxi from the outset. Not only was it destined to fall, its bungled conception practically assured it. That other carmakers would successfully realise its potential is reason enough for lamentation. That its creators so abjectly failed either to recognise or act decisively upon it however is the greater loss and perhaps the most grievous indictment of all. I learned to drive in one of these, a 1500 no less with that gear change. It’s kind of amazing looking back that it did not put me off for life, but one cared very little at that age, wheels are wheels. It’s the engine I remember most. I think I have written before that it was as if us was made of masonary. Slow, laboured, rough, unwilling to rev and it made an awful noise. The car’s one saving grace was its packaging and practicality. It was huge inside and just about got me and 4 mates and luggage up to Pickering for a week’s hols when I was 18. It suffered fuel starvation on the way up the A1, stuttering horribly as I overtook an HGV passing by Grantham (a socialist friend railed against the fact that the place was the home town of Thatcher). I didn’t try that again and nursed it along in the inside lane for the rest of the journey. I done respects, it was the Xsara Picasso of its time. Probably enough said. My Dad had one of these, bought second-hand from a vicar. The Maxi is a very vicar-ish car, don’t you think? All I remember about it is that it was that yellow-beige colour pictured and the vinyl seats were really sticky against my young bare legs during the hot summers of the 1970s. My Dad loved it. I wish he was still around so I could ask him why. He replaced it with a Marina, which was the worst car he ever owned. After that he bought a Mazda 323, his faith in the British motor industry shattered forever. S.V. is spot-on with the Xsara Picasso comment. Twenty years after the Maxi the young-person-with-a-family looking to leave their hot hatch behind and reluctantly buy something more practical ended up with an MPV. Twenty years after that and they’re in a CUV. The underdeveloped Maxi as it entered production is as if Renault decided to instead produce an underdeveloped Renault 6 in place of the Renault 4 (or in rear-engined terms the Renault 10 in place of the Renault 8). In better circumstances a properly developed smaller Maxi could have worked as a British Simca 1100 / Volkswagen Golf, with a larger long-wheelbase version being a British Chrysler Alpine / Solara. With the latter would there have been any room or need for a larger Maxi based analogue to the Renault 6 and Citroen Xsara Picasso? I actually like the Maxi’s packaging and proportions. Surely, the design could have profited of more elaboration on many levels, but the basic shape isn’t wrong in my eyes, just very different from anything else. Maybe that’s why even for a very young boy that I was at the time, it always stuck out as a special car. Luckily, at that age, I couldn’t care less about underdeveloped mechanicals and poor product placement and just enjoy what I saw. Good morning, Eóin. A tragic tale, well told as always, thank you. BL had two misbegotten attempts to produce a truly competitive model for what was the most important segment for a mainstream manufacturer, the family car market. 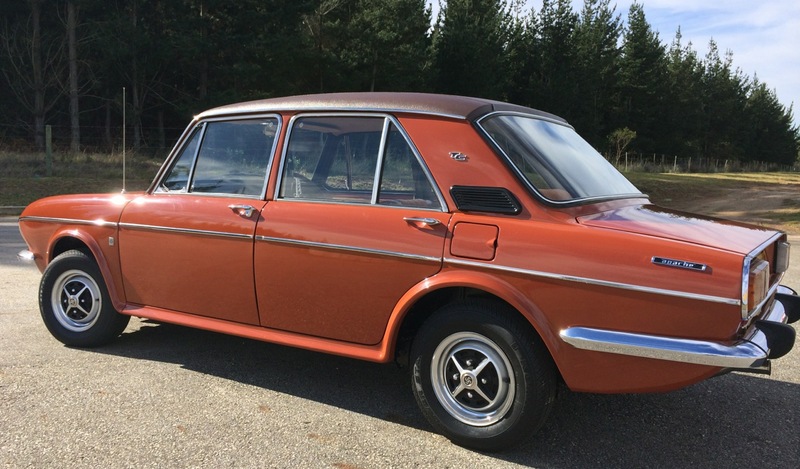 The Maxi was, as you say, a hugely expensive project that could have been forward looking and successful in the manner of the Renault 16 (which predated it by four years, so the five-door family car format was already established). The opportunity to produce an attractive design was fatally compromised by those doors, an inexplicable decision, given that the market already regarded the 1800’s appearance as pretty dowdy. Even more puzzling was the drivetrain issues: BMC had accrued extensive experience of transverse engines and FWD with the 1100 and 1800, both of which drove well enough, so just how did they mess up so badly with the Maxi engine and gearbox? The other attempt to cover this market segment was the Marina. This was the polar opposite of the Maxi: developed cheaply, one imagines, using existing underpinnings, it was undermined by its Morris Minor derived lever arm front suspension, which was certainly not up to the job of coping with the heavy 1.8 litre B-Series engine. It also suffered from a door related issue: the two-door, supposedly a more sporty “coupé” version, looked very unbalanced with the same short front doors as the four-door. The Marina sold well enough, but always smacked of a “make do and mend” product and lacked a modern 1.5 or 1.6 litre engine to compete squarely with the Cortina . One more thing puzzles me about the Maxi: its ADO14 development code. The numerically higher ADO16 (1100/1300) was launched in 1962 and the ADO17 (1800) in 1964, whereas the Maxi didn’t finally reach the market until 1969. Does one assume from this that BMC identified the need for a Maxi sized car at the same time as it did the other two, but took seven years longer to bring it to market? 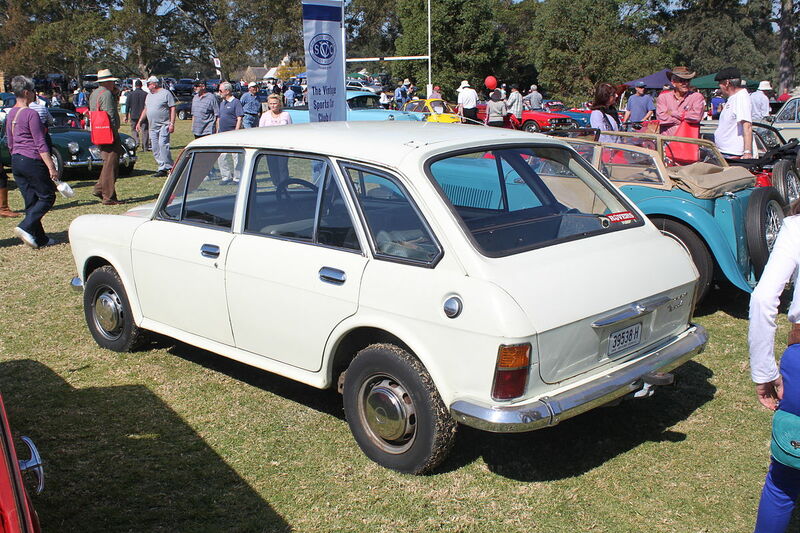 This would appear to contradict some versions that the Maxi was conceived later, when the gap between its smaller and larger siblings was recognised as losing BMC sales. If there’s a car that would be called ‘Harriet’, it would be this one. As it happens, all the Harriets I’ve known have been interesting, capable people. It was a strongly built load carrier, and the 1750 felt hefty enough to lug its biggish payload without a problem. The doors thus shut with a decent clunk, unlike its successor, the Maestro, where I thought it was one of those comedy cars where when you slammed the driver’s door the opposite rear door would clatter to the ground. The R16 looked like that too. I could never find the gears, so I’d be halfway round a bend which tightened and, seeing the need to change down, was left in neutral, which changes the yaw angle on most FWD cars. This made the car dangerous. The rod-operated setup was no great improvement — maybe because dealers didn’t maintain them, hoping to lure you into exchanging it for a shiny new Maestro or whatever. I co-drove a 1750 up the A29 (Bognor to London) in a snowstorm, which its wide track managed well. But the owner had had a lot more practice at finding the gears, so did better. Unloaded, it dipped down at the front, so the screen was less raked, which made it less aerodynamic and noisier inside — blotted out by an OK radio-cassette player. True that the B-Series engine was past its use-by date, and the Marina was a step backwards in so many ways — even uprated to MGB power. The Maxi could never have competed with rivals’ three-box saloons, which most people wanted then — it was a different animal altogether. That Nomad looks tasty — the Lancia Musa of its day. But the 1500 engine was hard work no matter how light the body. The Nomad, with a Roy Haynes Maxi-style front end, would have given BL a ready-made (interim, at least) successor to the 1100/1300, providing more space and versatility. It would have made an interesting smaller sibling to the Maxi, with its 290mm shorter wheelbase (2375mm vs 2661mm). Neither car would win any beauty prizes, but (assuming the Maxi drivetrain issues were properly sorted out) would have been BL’s equivalent to the Renault 6 and 16, selling on space and practicality, if not looks. Frankly I think the Nomad is even weirder….. Finally, give the 1800/2200 the Kimberley nose to update its look, and job done. Names? Midi, Maxi and Mega, obviously! I rather like the Tasmin/Kimberly. Odd proportions but it has ‘character’ I think. The back and front end remind me of the stillborn Rover P8 already featured on this site. Yes, the Nomad actually looks a bit humpy. The Maxi’s more stretched look suits me better. It is surprising a Maxi style front was not considered for an earlier Austin Apache let alone ADO16 and Nomad. It is strange that both BMC and Peugeot used Pinninfarina yet the latter received relatively more modern styling compared to the former. As for three-box saloon versions of the Nomad and 1800 entering production much earlier, while it would have arguably completed the range could they have really appealed to more conservative buyers despite their advanced front-wheel drive layout in comparison to conventional rivals?